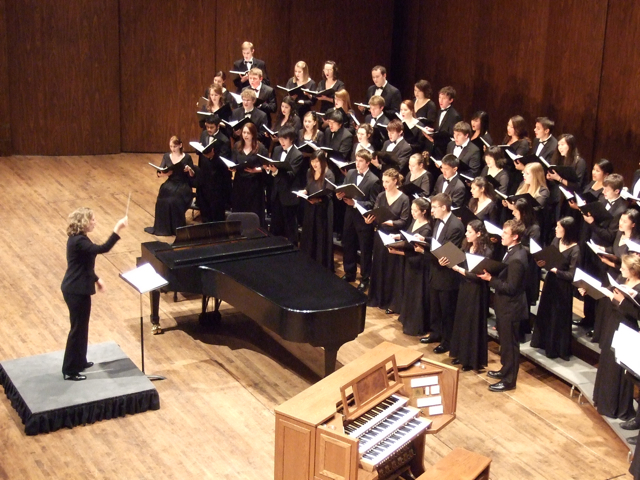 Fall Auditions for the UW choirs are quickly approaching. They will take place from 9am-4pm on September 25 and 26. Singers have the opportunity to audition for Chamber Singers, University Chorale, or Recital Choir. Sign up for an audition time by clicking here. After you fill out a form, you will see a link to select an audition time. For more information about the audition process, click here. We encourage you to sign up as early as possible! Chamber Singers – The University of Washington Chamber Singers is a professional-level choir consisting of graduate and advanced undergraduate music majors, as well as advanced musicians of majors from across the UW community. Meets Monday through Friday 12:30-1:20 pm in Brechemin Auditorium. University Chorale – The University of Washington Chorale is an auditioned advanced undergraduate ensemble of music and non-music majors from the Seattle campus. Meets Mondays & Wednesdays 3:30-5:20 pm in Music Building, Brechemin Auditorium and Room 213. Recital Choir – The Recital Choir performs diverse literature directed by choral conducting graduate students. Meets Tuesdays & Thursdays from 4:30-5:20 pm in the Music Building, Room 213. If you’d like to sing in University Singers, Gospel Choir, Men’s Glee, or Women’s Chorus, there is no audition necessary– simply come to the first day of classes! You can register in advance or in the first week of classes. This entry was posted in Auditions, Chamber Singers, News, Recital Choir, Updates, UW Chorale on August 30, 2017 by Steve Danielson.